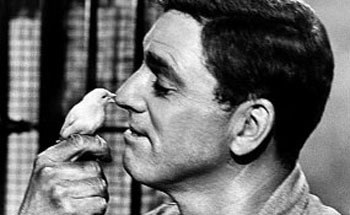 The 1962 prison drama Birdman of Alcatraz stars Burt Lancaster (Twilight’s Last Gleaming) and was directed by John Frankenheimer (Seconds, The Train). Interestingly, despite the film’s title, much of the action is set at Leavenworth where Stroud was jailed with his birds. Adapted by Guy Trosper from the 1955 book by Thomas Gaddis, the film also stars Telly Savalas (The Slender Thread) and Thelma Ritter (Boeing Boeing). Both were nominated for Academy Awards for their Supporting roles, joining Best Actor nominee Lancaster and Diretor of Photography Burnett Guffey for Best Cinematography. As supplier Twilight Time prints up only 3,000 copies of each title, the time to pre-order your Blu-ray discs directly from distributor Screen Archives NOW!